We stopped buying sliced cheese quite a long time ago. We just don’t use sliced cheese very often. This past Saturday we decided to have fried egg sandwiches for lunch. My mouth started watering at the mere thought, but then I remembered that I would have to slice all of the cheese by hand. Instead of using a knife which always leaves me with varying thicknesses of cheese, I decided to put another kitchen gadget to the test. I broke our our vegetable peeler and within minutes I had a beautiful stack of uniformly sliced cheese. How do you slice cheese? Have you found any other uses for common kitchen gadgets? Linking up to Kitchen Tip Tuesday. # 424. Amelia’s sweet laugh. # 426. Perfecting a soaked whole wheat bread recipe. # 428. Receiving our set of What’s in the Bible? DVDs in the mail. # 429. Watching Lassie reruns on hulu. # 430. Jonathan’s improvement in color recognition. # 431. Being excited with Emahry as she read her first Bob Book. Do you write down goals for your week? Do you have set categories or create a certain number of goals? 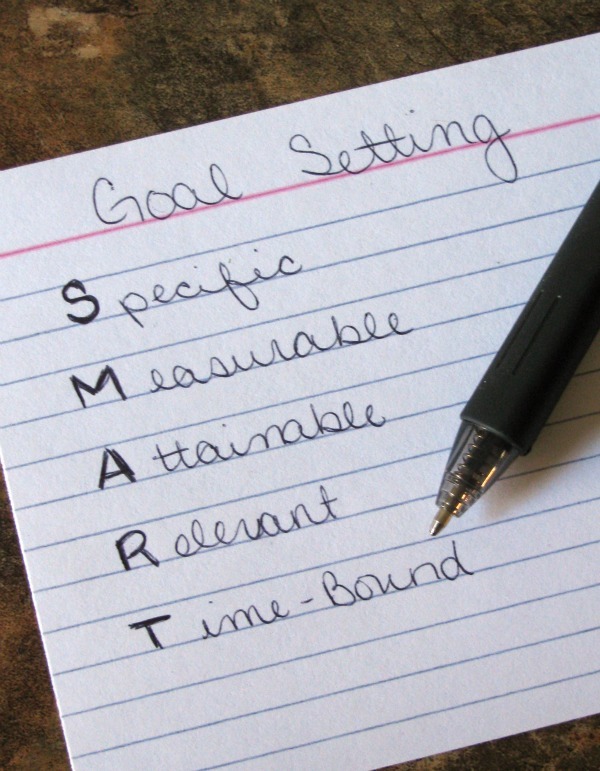 Do you think weekly goal setting would help you? Let’s discuss ideas about weekly goal setting in the comments! 11. mail the postcards the kids made for their grandparents last week I addressed them and put the stamps on, does that count? :: Such a cute way to repair a hole in your child’s jeans. :: Use a small photo album to store all of your seed envelopes. I promptly went out and purchased a white tablecloth on sale for around $10. Then, once I had the tablecloth back home I realized that the texture of the fabric would make it very difficult to write on, which would completely defeat the purpose. I returned the tablecloth and decided to search for a white twin sheet instead. Before heading back to the store, I thought I might as well check our linen closet, even though I was sure I didn’t have any white twin sheets. I already had an embroidery hoop and a bag full of embroidery floss, so this project turned out to be completely free! When we went away for Christmas I packed the sheet in a bag along with a Ziploc full of embroidery floss, a mechanical pencil, and my embroidery hoop. During downtime at the cabin, each person took time to write their name. Some added little pictures, too. I embroidered in the evenings when everyone was gathered around the television and at nap time while I sat with the kids until they fell asleep. I also embroidered in the van on the long drive back. When we came back home, I toted the same “tablecloth bag” to each of our family holiday gatherings. I’ve decided to pray for each person as I embroider their name. I love doing this! I often get into a rut only praying for my immediate family, so this has been a wonderful challenge for me. Then everyone will sign it again next year, and I’ll begin again. Today's Questions: What projects have you finished this week? Are you working on a project that seems like it’ll never be finished? Download your FREE Healthy Recipes for your Nutritional Type eBook from Mercola. This post contains affiliate links. When you download this free ebook you are helping to support our family, at no cost to you...thanks! 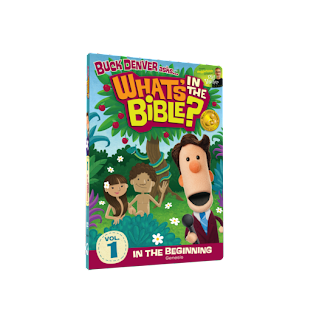 Our kids love What's in the Bible? So I was excited when I saw that the What's in the Bible? Vol. 1 Valentine coupon code is still working. Use code Love 2 to get $10 off the first volume of What's in the Bible? DVD. That makes it only $5 shipped! These DVDs are wonderful! In fact, Tim and I just purchased the DVD bundle to use with the children of a small group Bible study that we are beginning. This post contains affiliate links. When you make a purchase through our link you are helping our family, at no cost to you...thanks! Let’s just say it…married life can be tough. It’s easy to forget about romance when you’re up at all hours with babies and small children or when jobs are demanding or the budget is tight. But, other than your relationship with God, your relationship with your husband is the most important one of your life. Nurture it. If you allow life to crowd out time for your husband, one day you may find that you are living with a complete stranger. Grow together. Live life as one. While I thinks it’s wonderful to be able to go on periodic dates with my husband, I know that those dates can’t be the only times we connect. It’s important to look for small ways to let him know he’s still the one I’d choose all over again. For even more great ideas check out my Loving Your Husband board on Pinterest. Today's Questions: What is one simple way you let your husband know he is still the love of your life? What ideas from the list above would you like to try? Please visit my fellow Tri-Moms, Kristin @ Bits & Pieces from my Life and Christy @ A Living Homeschool for more on romancing your husband. With all of the wonderful giveaways of the past week, I completely missed setting my weekly goals. :: I love this pantry. I think an inexpensive version could be made by salvaging the wasted space between wall studs. :: I love easy chicken marinades. We really like this Asian marinade. :: We’ll be adding this shape journaling to our shape activities drawer. Welcome to the final day of the Tri-Moms Share the Love Giveaway Week. 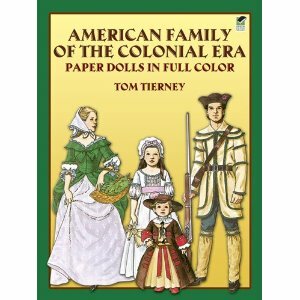 Head on over to Kristin's blog @ Bits and Pieces from My Life to enter for your chance to win this beautiful set of historic paper dolls. Also be sure to join us on the first and third Tuesday of every month for fun discussions. I first saw this idea on Pinterest and filed it away for a rainy day. 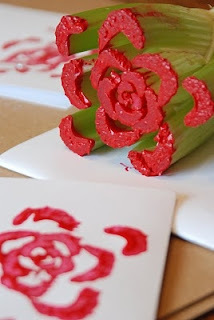 Then this past week, the three older kiddos and I tried our hands at making roses with our own celery stamps. We found that the longer celery heart (about 3 1/2 inches long) made a better stamp because the stalks were spread out a little and kept the paint from making big globs on our paper. Today's Questions: Have you ever made stamps from foods or household items? Which ones? Today is Day 5 of the Tri-Moms Share the Love Giveaway Week. 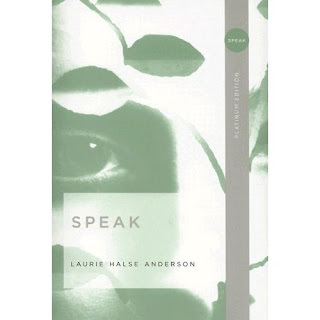 Head on over to Christy's blog @ A Living Homeschool to enter for your chance to win the novel Speak. Right now you can download Gluten Free Breakfasts and Gluten Free Lunches from Amazon for free! Each of these ebooks contain 52 quick, simple, and delicious recipes. The price of each of these ebooks is currently $0.00, but that can change at any time. Make sure you double check the price before checking out. Free Silk Scarf with Free Shipping! Sign-up for sneakpeeq to get a FREE scarf today (with your $10 credit for signing up)! You'll need a Facebook account to sign up but you do not have to enter any credit card information. 1) Sign up. You’ll see a badge pop up telling you about the scarf. 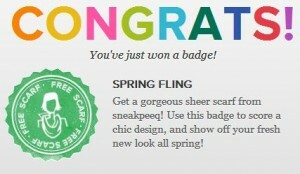 2) Click on “Style" in the top navigation bar and scroll down to "Spring Fling” to find the scarf. 3) You’ll score a FREE Scarf with FREE shipping with your new badge! This is available for new members only.